PGA Jr. League brings friends and family together around fun, team golf experiences with expert coaching from PGA and LPGA Professionals. Our PGA Junior League (13u) is designed for boys and girls ages 13 and under (must not reach their 14th birthday before July 31st) from all backgrounds and skill levels. 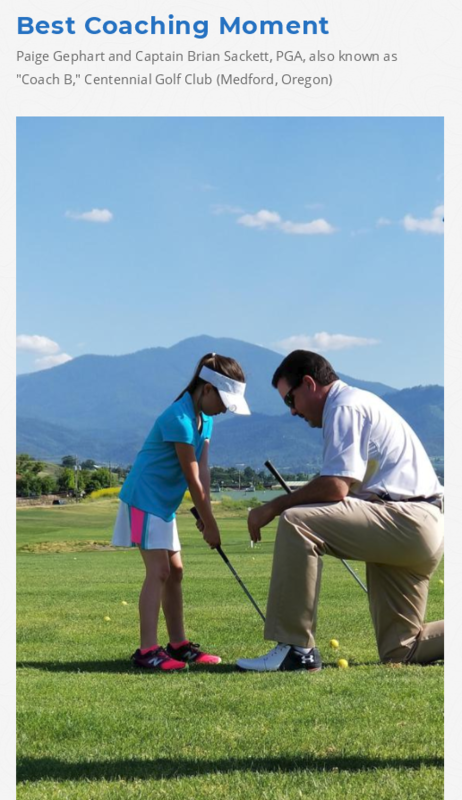 PGA Jr. League is changing the way youth golf is learned and played. Local PGA Professionals, PGA Apprentices and LPGA Professionals are giving boys and girls of all backgrounds and skill levels the opportunity to love a sport they can play for life, while bringing families and communities together for a fun and engaging team experience. Players will learn the fundamentals of golf along with basic rules and etiquette in a fun and engaging team format. Try to arrive soon enough to give yourself time to warm up properly. Replace your divots on fairways and putting greens. After hitting out of a sandtrap, please rake your tracks. Don't step on your fellow players putting lines -- the imaginary line that connects the ball to the hole. Stand where you will not distract a fellow player. After everyone has putted out, immediately walk to the next tee. with your fellow players and thank them for their company. is the time you get to spend with your friends.